Last edited by DeathStriker on Fri Mar 09, 2018 9:03 am, edited 1 time in total. ⇨ NOTE: Some on Android are saying they see Update but as for me on iOS it has yet to appear. 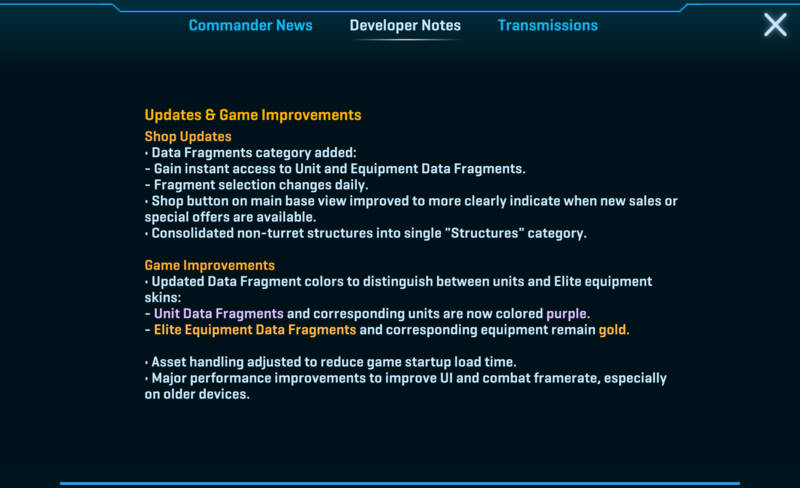 DeathStriker wrote: ⇨ NOTE: Some on Android are saying they see Update but as for me on iOS it has yet to appear. I just get "Hang on Commander, Server Updating" I just hope it's done updating before my research is completed. I fear it might be 20 USD for 5 data frags. Why now? The Event is not over yet!! !